The 2015 Farmers’ Almanac predicts “copious amounts of snow and rain” over the eastern third of the country. In fact, along the Atlantic Seaboard active wintry weather is expected for the first 10 days of January and the first week of February with bouts of heavy snow and strong winds. 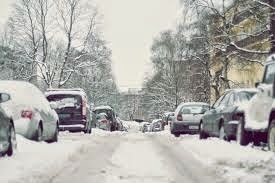 Flooding related to snow melting can overburden sewer systems, causing raw sewage to back up into the drains of homes. Backed up sewers can wreak havoc, causing thousands of dollars in damage to floors, walls, furniture and electrical systems.